Home > Printable Coupons > $20 off $30 Purchase at Walgreens! $20 off $30 Purchase at Walgreens! 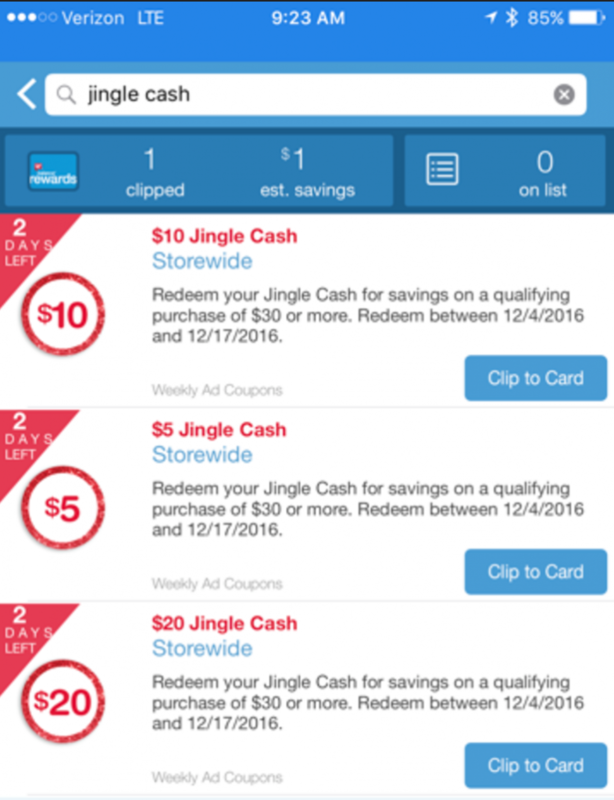 Right now you can get $20 in Jingle Cash to use on any purchase $30 or more at Walgreens. You’ve got to use the offer by this Saturday. So head in and get some super cheap stocking stuffers or last minute gifts. Click to Load the $20 in Jingle Cash coupon. Now when you head into the store and use your Walgreens card your coupon will come off at the register automatically!! Pair this with all the deals this week at Walgreens. Remember your total will need to be $30 after all coupons and taxes come off, for the jingle cash to apply. I’m not a normal Walgreens shopper, but this is one way to get me in the store today! !